ACP's I Raise the Rates Initiative provides important resources as well as vaccine information to help physicians increase adult immunization in their practices. This resource hub was developed as part of ACP’s I Raise the Rates initiative to assist physicians and their teams to assess, understand and improve adult immunization rates and patient outcomes in their clinical settings. Funding for the I Raise the Rates program was made possible by Center for Disease Control and Prevention (CDC), GlaxoSmithKline, Merck & Co., Inc., Pfizer, Inc. and Sanofi Pasteur Inc.
to be part of the American College of Physicians' I Raise the Rates Program to increase adult immunization rates. Take this practice assessment survey to assist you in pinpointing key areas for improvement in your clinical setting and identifying strategies to increase your adult immunization rates. Stay up-to-date on the latest vaccine recommendations, guidelines and clinical updates in adult immunization. Aging and Immunity: The Important Role of Vaccines - This free physician guide provides an understanding of the biological impact of aging on immunity and the value of vaccination as an effective tool in reducing the risk for vaccine-preventable diseases in older adults. Developed by ACP, in partnership with the Gerontological Society of America (GSA) and the American Pharmacists Association (APhA), with funding support from GlaxoSmithKline (GSK). CDC Vaccine Schedules app - available from iTunes App Store and Google Play. Patient education resources and tools to communicate risks and benefits of immunization, address vaccine myths and misinformation, and empower patients to make informed decisions on their vaccine needs. Learn core quality improvement skills and how to apply them to increase your adult immunization rates in your practice. Register for Quality Improvement Pre-Course at ACP Internal Medicine Meeting 2019: PRE 1910 Transforming Your Practice to Improve Patient Outcomes, Increase Efficacy, Maximize Reimbursement, and Increase Joy in Practice, which will take place on Wednesday, April 10, 2019 in Philadelphia, PA. I Raise the Rates Webinars: These recorded webinars cover QI strategies and best practices to increase immunization rates in your practice. Raising your Rates-Developing Your PDSA - A webinar focused on Plan, Do, Study, Act (PDSA) quality improvement cycle to help increase adult immunization rates in your practice, clinic, or hospital. Standing Orders-A Model to Fit Your Practice - A webinar focused on standing orders to increase adult immunizations in your practice, clinic, or hospital. I Raise the Rates through the promotion of Equity-Virtual Champion Training Webinar - This training provides an overview of QI methodologies and strategies to increase adult immunization rates with specialized training in understanding the barriers to immunizing adults in racial and ethnic minorities. Sign up for regular practice coaching calls, which allows you to connect with national experts and experienced coaches in considering strategies for making team-based, time-saving changes through a Plan Do Study Act (PDSA) approach to Quality Improvement (QI). 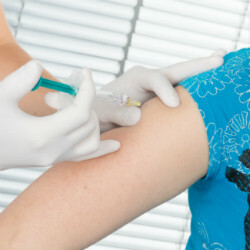 Access these resources to help support vaccine administration in your practice. including vaccine assessment, implementing standing orders, understanding the business case for vaccines as well as ordering, storage and handling, billing and coding. Standing Orders-A Model to Fit Your Practice - A webinar focused on standing orders to increase adult immunizations in your practice, clinic, or hospital. Drs. Robert Hopkins and L.J. Tan PhD will present best practices and strategies to implement standing orders in your practice with multiple size location examples. Managing your Vaccine Stock - Tips to Improving Ordering, Storage, and Handling Vaccines: A webinar focused on refining your practice’s vaccine ordering, storage, and handling. Drs. John O’Neil, DO, FACP and Michael Soppet, MD, FACP will present practical tips to help you improve ordering and managing of your vaccine stock and how to use your practice staff to streamline the process. What in the World is a Chief Vaccination Officer Webinar -A webinar with Dr. Soppet, Ms. Adams and Ms. Cain presenting how increasing adult immunization rates takes more than a committed physician champion-leader; the whole health care team, including office staff, need to be on board to optimize billing, and convey the importance of vaccines to patients. Chief Vaccination Officer Webinar 2 - Ordering and Inventory Control Webinar: The second in our series of webinars for I Raise the Rates Chief Vaccination Officers. Dr. Soppet outlines the process for ordering and inventory control of vaccines. Chief Vaccination Officer Webinar 3 - Financial Aspects of Insurance Billing and Collections: The third in our series of webinars for I Raise the Rates Chief Vaccination Officers led by C. Michael Soppet, MD, FACP. Immunization Action Coalition-Vaccination (IAC) Step-by Step Guide -Developed by the staff at the immunization Action Coalition, this guide provides practical information to help you implement or enhance adult immunization services in your healthcare setting. Full guide available for download. Increase your practice capacity to raise adult immunization rates and efficiency through involvement of the full healthcare team. Increasing Immunization Rates - In this video, Dr. Marie Brown and Sandra R. discuss steps they have incorporated in their intake and rooming process that have resulted in increase immunization rates in their office. What in the World is a Chief Vaccination Officer Webinar - A webinar with Dr. Soppet, Ms. Adams and Ms. Cain presenting how increasing adult immunization rates takes more than a committed physician champion-leader; the whole health care team, including office staff, need to be on board to optimize billing, and convey the importance of vaccines to patients. Chief Vaccination Officer Webinar 2 - Ordering and Inventory Control Webinar: The second in our series of webinars for I Raise the Rates Chief Vaccination Officers. Dr. Soppet outlined the process for ordering and inventory control of vaccines. Cultural Competency-How to Apply Outreach and Understanding in Your Practice Webinar - A webinar focused on cultural competency and adult immunization to help your practice, clinic, or hospital to better communicate with your patients. Dr. Jennifer Dillaha will present best practices and strategies on focused outreach to minority and ethnic groups, share resources to support communication effects and patient tools to reinforce the importance of immunization. ACP has developed a training program that will teach residents about the science of adult immunization and provide evidence-based strategies for increasing vaccination rates. The program is fully equipped with a facilitator guide for residency program directors, outlining how to implement the training curriculum. Access resources to promote health equity and identify strategies to increase adult immunization rates with specialized training in understanding the barriers to immunizing adults in racial and ethnic minorities. Cultural Competency-How to Apply Outreach and Understanding in Your Practice Webinar - A webinar focused on cultural competency and adult immunization to help your practice, clinic, or hospital to better communicate with your patients. Vaccine Publication: Improving Adult Immunization Equity: Where do the Published Research Literature and Existing Resources Lead? Access resources to better understand your immunization data as well as the immunization information system (IIS) within a given geographical area. ACP Genesis Registry - approved by CMS as a Qualified Clinical Data Registry (QCDR), ACP’s Genesis Registry provides seamless integration with participating EHRs to collect quality measure data and automatically submit data measures that satisfy PQRS, VBM, and MU and QPP reporting.